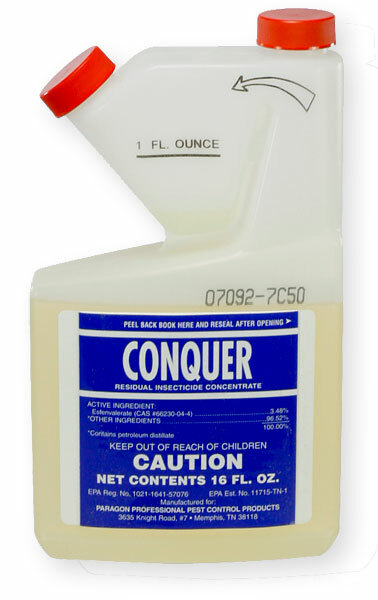 Conquer is a liquid concentrate that you can mix with water and spray. It will kill flies on contact and provide some repellency. It needs to be reapplied every few days or weeks to get full or maximum effectiveness.